Stroke is the leading cause of death and adult disability. According to the Stroke Support Network of Ghana, more than 600,000 people are living with stroke in the country. The aim of our Stroke Community Re-Integration Program is to provide occupational and physical therapy services at the doorsteps and within the communities of stroke survivors throughout Ghana. 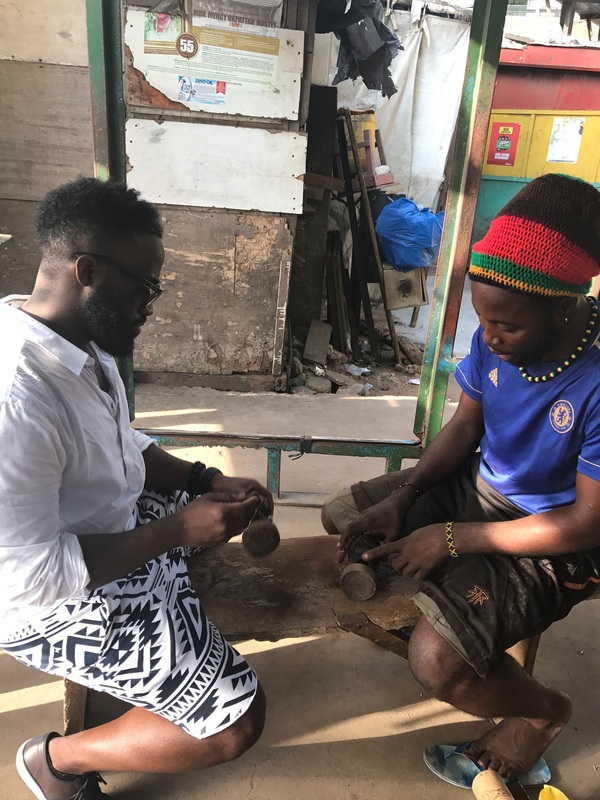 Through our pilot collaboration with the Stroke Support Network of Ghana, Ministry of Health and Noncommunicable Disease Alliance we were able to organize a pop-up rehab clinic for stroke survivors in Eastern Ghana. Read more about our project here. The purpose of GT Academy is to enhance the clinical and professional competence of healthcare professionals and students in our host countries by providing quality continuing education and training. We are committed to investing in the development and growth of practitioners and students by equipping them with the skills and resources required to rehabilitate and revitalize their communities. A volunteer experience in a developing country is the perfect opportunity to collaborate with local healthcare providers to exchange skills, ideas and knowledge. Through our carefully curated service project, participants will be exposed to Ghana’s dynamic health care system and gain a greater understanding of the country’s delivery of care. They will also tap into their creativity and come up with innovative ways to solve common problems with minimal resources. Accra is the vibrant capital city of Ghana with over 2 million people, well endowed with museums and fine public monuments, busy markets, excellent restaurants and a lively nightlife. Among the highlights of Accra include the National Museum of Ghana, Kwame Nkrumah Memorial Park, The Ghana Academy of Art & Sciences, Independence Square, The University of Ghana, Korle Bu Hopsital, Makola market and the Jamestown lighthouse. Cape Coast, is one of the most culturally significant cities in Africa. Haunted by the ghost of the past, Cape Coast was once home to one of the largest slave trading centers in West Africa. Take a guided and thought provoking tour to Cape Coast and Elmina Castle to learn about the history of the slave trade. Feeling adventurous? Complete a canopy walk at Kakum National Park and experience the forest’s wildlife. Additionally, Cape Coast is home to laid back fishing ports, beautiful beaches lined with restaurants and pubs and filled with welcoming locals. Stay connected with GoTHERAPY and get updates about our work in Sub-Saharan Africa.